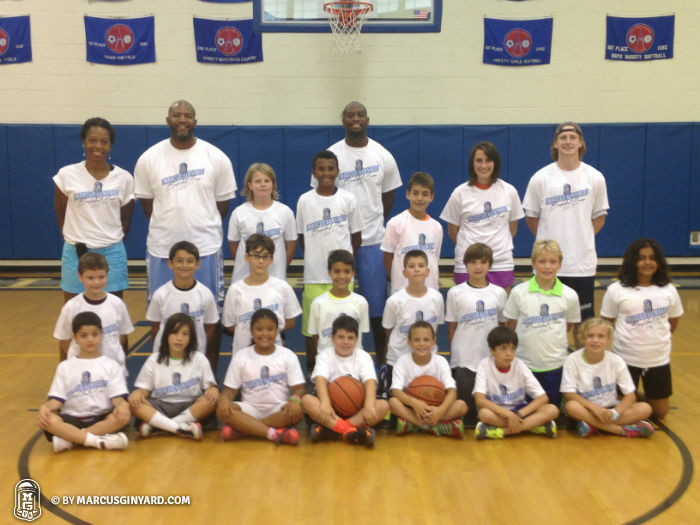 This summer of 2015 marks the fourth year of Marcus Ginyard Basketball Camp, we couldn’t be more proud to continue to share our motto, Having Fun Getting Better! Every year we have been honored to share this message with more and more young campers. We take great pride in the culture we have created within our camp, emphasizing hard work, sacrifice and teamwork while showing them the importance of having fun and enjoying the game of basketball. We listened to popular music during stretching, inspired impromptu dance offs, and organized various skills challenges with cash prizes, all in an effort to create an electric atmosphere to learn the game of basketball. In addition to learning fundamental skills such as dribbling, passing and shooting, campers learned the importance of having a positive attitude and working together as a team. It has always been a goal to help each camper to grow as a player and a person. 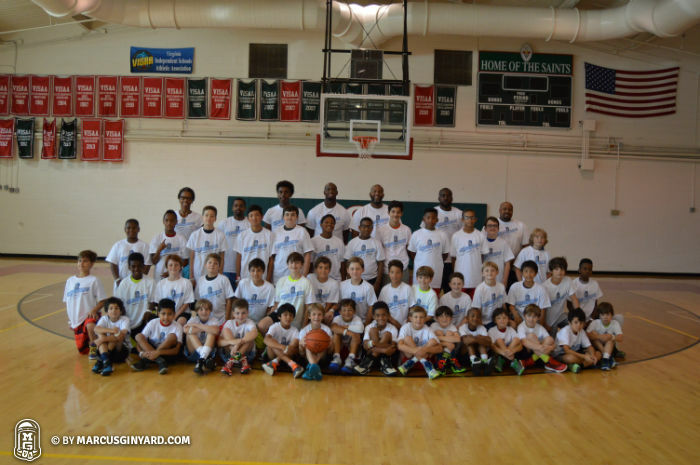 This year marked the first summer that Marcus Ginyard Basketball Camp was held in two separate locations: Week 1 in Alexandria Virginia at St. Stephen’s & St. Agnes School and Week 2 in McLean Virginia at The Langley School. News concerning Marcus Ginyard Basketball Camp 2016 will be available at www.MarcusGinyard.com/Camps in the coming months. View photos from camp here! Marcus Ginyard (born May 8, 1987) is an American professional basketball player from the University of North Carolina at Chapel Hill. Ginyard has played 7 seasons of professional basketball in Europe since graduating, and is now playing in Macedonia for the top team KK Rabotnički.